Thank you to Get Building SDA and Summer Foundation for hosting today’s Connecting NSW event at Tweed Heads. This free event aimed to bridge the gap between SDA providers and NDIS participants. SDA providers came along to showcase their developments to participants, families, carers and support coordinators. NDIS participants were able to learn more about SDA, connect with housing providers and potential co-residents. 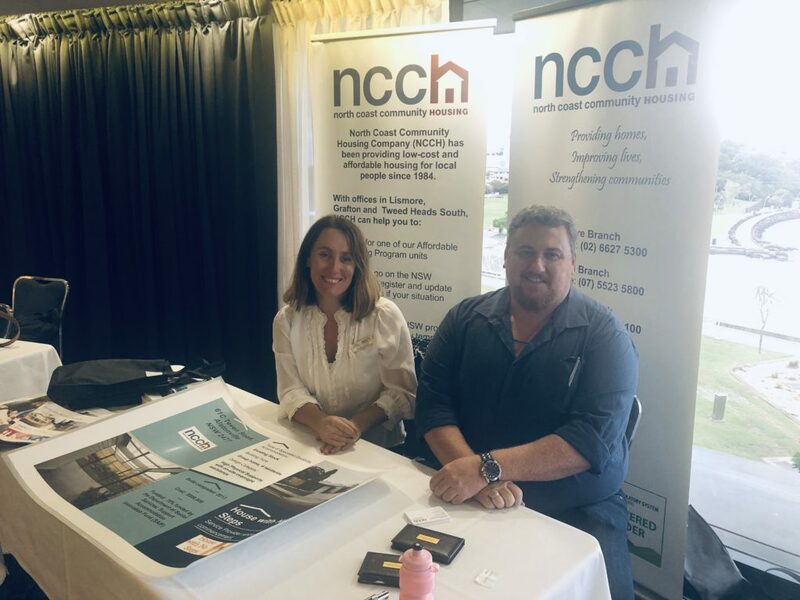 Our Operations General Manager and Business & Community Development Manager (pictured, right) attended the event and were on hand to answer questions about community housing services offered by NCCH.